Alice Walker is one of the most exceptional women to have ever graced this earth of ours. And what better filmmaker to chronicle her journey than Pratibha Parmar. 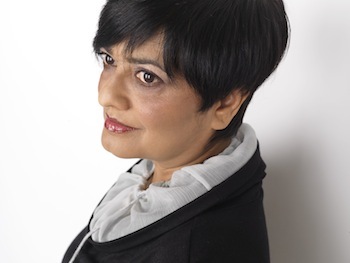 I met Parmar a few years ago when she was promoting her narrative feature titled Nina's Heavenly Delights, and was immediately taken with her approach to life and filmmaking. One senses great freedom within her, a feeling that she doesn't need to live by others' rules, and those qualities translate so beautifully to the big screen. It's no surprise then that Beauty In Truth, Parmar's documentary about Alice Walker, which just premiered at the Seattle International Film Festival, is a perfect piece of filmmaking. Worthy of the sold-out screening and standing ovations it received. In Beauty In Truth, Parmar tells Walker's story by letting her narrate her own tale, in that beautiful trademark voice of hers, a woman who has lived through so much but still looks at life with enthusiasm and generosity. I realize as I write this last sentence, that it could be about both Walker and Parmar and perhaps that's the connection which makes the film such a success. Two exceptional women, talking about one exceptional woman's life, with the help of a few really exceptional friends. As a personal aside, I've admired Walker's courage lately in her open letters to artists who cross the boundaries of fairness and take sides, by simply choosing to play or tour in a country that does not allow all its citizens the same freedoms, the same quality of life. This courage, this firm belief that we are all created equal, with our best assets and our worst qualities basically adding up to a global average, is what has driven Walker's life, and what clearly steers Parmar's film. Now if we could just begin to live that way, what a wonderful world this would be. Following is my interview with Pratibha Parmar, where she talks about Walker and her well-known friends whom she managed to interview for the film. She also discloses a few updates for Beauty In Truth, so that we may all soon share in the beauty and wisdom of Alice Walker. Why Alice Walker? What drew you to her story and how did you begin thinking about this project? 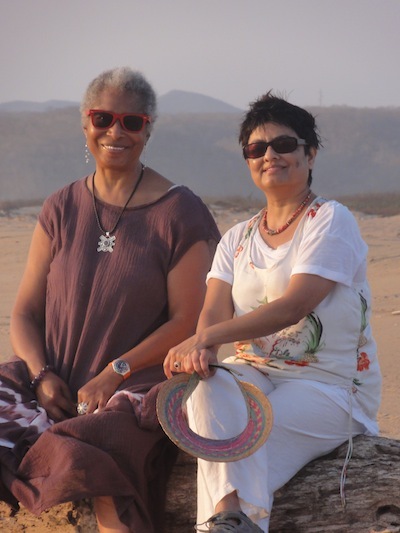 Pratibha Parmar: Alice Walker is not only one of the most prolific writers of our times but she is also a writer whose humanity is expressed beautifully in the art of her life. My personal connection to Alice goes back to the early 1990s when we collaborated on a documentary, Warrior Marks about the then-taboo subject of female genital mutilation. That harrowing journey both triggered and cemented our mutual respect and trust. The idea for Beauty In Truth came completely unexpectedly. Four years ago I was watching a stack of DVDs, all of them documentary stories of Americans who have made an impact on American culture. Significantly, none of these stories were of women especially women of color. The obvious question (for me, anyway) was to ask why not, and then, why not one such a film on Alice. Beauty In Truth is my contribution to filling this gaping abyss of on screen representations of women as history makers and shapers, women public intellectuals and visionary leaders. What was the biggest challenge in making your film? And the most rewarding aspect? PP: Once I started on the film, the enormous scope of Alice's story was at first a little daunting. I mean, how on earth do you do justice to a poet's life that began on the cotton fields of Georgia to sharecropper parents? How do you sketch on screen a life that has profoundly shaped and impacted cultural discourses on gender, race, sexuality, history? As Danny Glover says in the film, "this is a woman that certainly is right there connected to every single movement that happened in the last 40 years. So in that sense you find intrinsic in her writing, is that part of her as a citizen of the world, a woman of the world, and an activist and an artist." I wanted to find out what it takes for an individual to forge a powerful, authentic and compassionate self in the crucible of poverty, hypocrisy and cruelty? What sacrifices do you have to make so you remain true to yourself? What does this courage look like? Undoubtedly, one big reward was having the opportunity to meet and talk with people like Howard Zinn, Steven Spielberg, Quincy Jones, Sonia Sanchez and Sapphire amongst others -- these encounters and conversations were deeply enriching. Do you think cinema, a film like yours that highlights such a powerful woman, can change the outlook of its audience, and how? PP: I know I have been changed, enlightened and moved by many many films that cross national, cultural boundaries, genres and styles so yes, I think cinema can be a powerful experience, films can shift opinions, even shape histories. I mean just think the impact that a film like Granito: How to Nail a Dictator has had -- the evidence that film amassed. As a filmmaker I wanted to convey Alice's uniqueness, which I believe is her poetical lens on the world. She speaks through her writings with a clarity that is much needed now. Whenever I get overwhelmed by the absolute terror, hatred and violence inflicted on women and children we see everyday all over the world, I turn to Alice's writings to find hope. She reminds us of our humanity as people -- all the good we are capable of and the joy we can experience in the everyday and sometimes that is all you need to get you through the day. How was it editing your feature length documentary? PP: Editing was an adventure in joy and pain. At times I had to lose gems, especially since we interviewed some fascinating people in their own right. For instance, the interview I did with Yoko Ono who gave Alice Walker the "Lennon Ono Peace Award" for her humanitarian award, was fascinating in so many ways. I got an opportunity to talk to her about not only the award but also about her own work as an artist and her creative relationship with John Lennon. My biggest sadness is that we were not able to include a segment on The Color Purple musical. We did fantastic interviews with Scott Sanders, the producer and the composers Allee Willis, Brenda Russell as well as LaChanze who won a Tony for playing Celie. But we didn't have the money to clear all the union fees for the footage from the musical and without these visuals, that story couldn't really be told. Where is the film going next? PP: After Seattle International Film Festival, Beauty In Truth is the closing night film at Toronto Inside Out Film Festival on June 2nd, it's the "Fusion Centerpiece" screening at Outfest in Los Angeles on July 18th and the centerpiece screening at QFest in Philidelphia on 20th July. We have other screenings coming up in Atlanta, New York, Washington D.C. San Francisco. More and more cities are being added everyday.